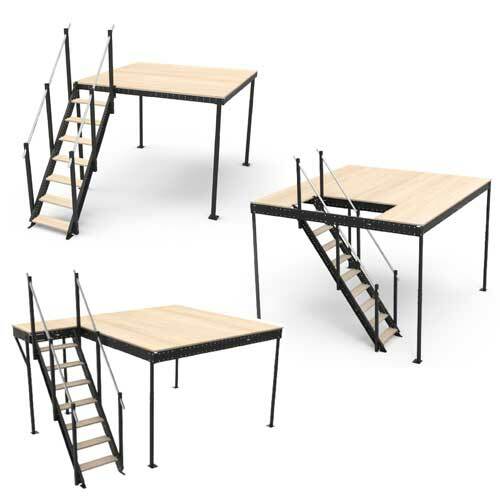 The general access stairs L are adequate according to the regulations that lay down access and evacuation requirements with a great public concurrence, unlike other industrial or private stairs that are not as demanding. These stairs are the suitable solution for the Tecrostar mezzanines belonging to the L and XL ranges. 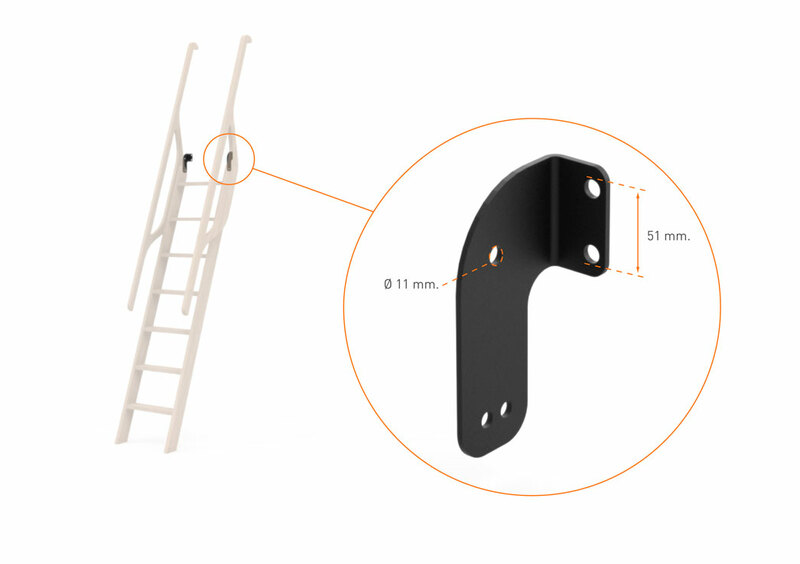 It is adjustable in height and can be placed in different locations, thanks to its versatile upper anchor. 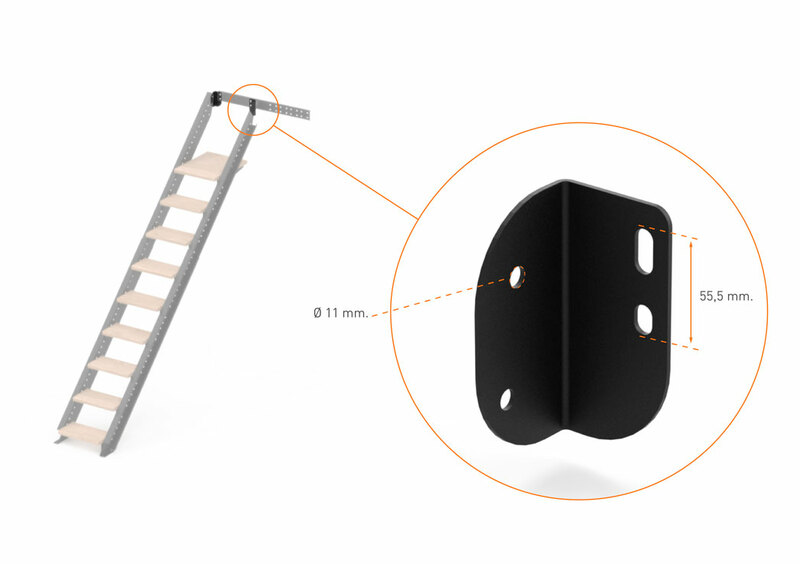 These stairs support a maximum load of 150 kg. For its assembly, it is necessary to have a height between 160 and 343 cm above the floor. The going is 26 cm and the height between steps is 19 cm. The distance between the handrail tubes is 20 cm. The general access stairs L can be located inside the mezzanine to avoid it projecting beyond the mezzanine floor. 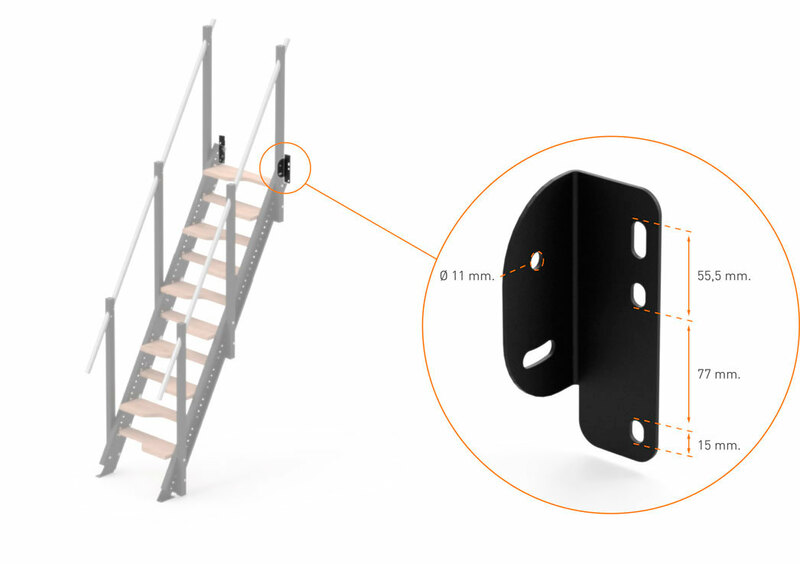 It can be located in any of the sides as well, perpendicular or parallel to the structure using a stair landing.